Looking for a reliable pest control firm that can offer environmentally safe solutions? We will rid your business of Cockroaches, Ants, Spiders, Bees, Bed Bugs or any bug or pests that are causing you problems. Guaranteed! Our Pest Technicians also give you protection against bees, Fleas, rats, mice (Rodents), flies, bird lice (often called mites) or other garden pests. If you’re someone who needs to have a building inspected, whether it is before buying or selling a home, we can provide accurate and reliable pest reports and termite reports as well as giving you advice regarding TERMITES and how to manage them. We are also consultants to various timber inspection firms for any jobs that became problematic after having undertaken certified inspection reports that didn’t pick up problems due to lack of access. You may have heard about “Flick Pest Control” and “Rentokil” as Australian companies in the industry. Danish Flick ISS bought our Flick pest control and hygiene services business from WD Flick & Co Pty Ltd back in 2002. Rentokill head office is in Leeds and Edinburough UK. A1 pest control Sydney is an Australian family owned business, based in Bella Vista, NSW, Australia. Its owner, Bruce GOw has over 30 years of experience as well as accreditation in the safe protection of homes, businesses, schools, kindergartens, childcare and government departments. We never use fuming chemicals that drive you out of the building or slop messy pools of liquid over your floors – as some negligent firms have had these bad reputations. Only environmentally aware are responsible treatments are ever performed by our firm, and our informed pest management breaks down the breeding cycle using very low or non-toxic insecticides & pesticides. How long does it take to finish a typical treatment? Normally a trained, licensed technician will take around an hour or less for most firms and a little longer for termite inspections and pest reports. Most businesses are serviced in under an hour, as we will only treat the infested areas of the property. Is there a smell inside? No, our low toxic insecticides are odour-free inside the building, leaving no risk to your employees or clients. What does a service cost? The cost varies upon your needs and situations. Call us to ascertain exactly which plan suits your needs and you will talk to a non-pushy, informed technician or office staff who will guide you to your best solution. How to Manage Pest Control Economically and To Have Safe, Effective Termite Control in Australia. You can look up treatments for various Australian pests, Termite Control (white-ants) bird lice, fleas, ants, cockroaches, spiders, rodents and other vermin on our website. Take a moment to check out any of the pages that interest you for accurate consolidated information. See our Pest Control,Termidor Termite Treatment and Termite Control tips. We specialize in Termite treatments, especially providing you with peace of mind when moving into a new home or when you find your business besieged by termites. Give us a ring and we’ll talk you through our 100% risk free money back guarantee if we are unable to fix your termite problem! Just send us a message for more information. A1PestControl has a group of highly trainer and licensed pest experts that that service all Metropolitan zones within Sydney Region (Australia). Please fill in a form for contact details, or for some “no obligation” advice on your situation ring us up on 0417 251 911 for expert advice free of charge..
Our major clients include Federal, State and Local Departments, Motels and Restaurants, Hospitals and Nursing Homes, Clubs and Pubs. We are able to stop your termite issue from becoming a nightmare. As far as environmental and health concerns we ONLY make use of non-toxic and low toxicity products to get your home or business free of annoying and detrimental pests. Feel free to send u s a message for no-strings attached advice or more information on your situation. 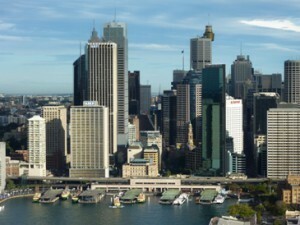 Alternatively you can ring us up on 0417 251 911 for quick, reliable assistance in Sydney’s metropolitan zone. Our Sentricon and Termidor termite systems can fix any persistent termite infestation where other systems have fallen short. We recommend Granitgard and TermX for any pre-construction protection of your home or enterprise. Granitgard is completely non-toxic and TermX is low toxic. You can see our website for information on Termite Irrigation (Also known as reticulation or replenishment) which are some of the most successful renewable termite protection systems for your property. You can rest assured knowing that all our pest controllers are licensed and have compliance with all OH&S regulations. Our operators use the latest and most effective equipment to provide you with an economic solution to your termite induced headaches. Accurate and Economic Detection of Termites is Now Here! You can easily detect high risk areas for termites by looking at the heat sources generated by the termites residing in building structures. The Remote Thermal Sensor is amazingly accurate with pinpointing the locations of termite activity. You can also easily detect a looming termite risk by looking at areas that have a concentrated presence of moisture. The moisture sensor is easy to use, similarly to a traditional Moisture Meter. The Bluetooth PDA unit allows for quick data analysis, storage and the generation of complex reports within a few seconds. It allows for customer and job data to be available as required making jobs a lot easier to manage. Home Inspection, Building Inspection, Pest Report or Termite Inspection. How are these different? Call us up to discuss any procedure that you are considering and/or would like advice on. We have Exterra and Termidor trainer operates who make use of an Integrated Pest Management (I.P.M) and termite bait systems for low toxic solutions in and around your home. Our high tech, economic solutions can easily eliminated your termite/white-ant worries quickly, resulting in you having to spend less and saving yourself a lot of trouble in the long run. Bruce Gow says: “I often inspect commercial premises after the damage is already done and the owner finds signs of infestation. When I find active subterranean termites and ask about what sort of termite protection is in place, I often get confused looks on the faces of some clients. Termidor termite barriers combined with termite baits are our best recommendation for long term white-ant control.